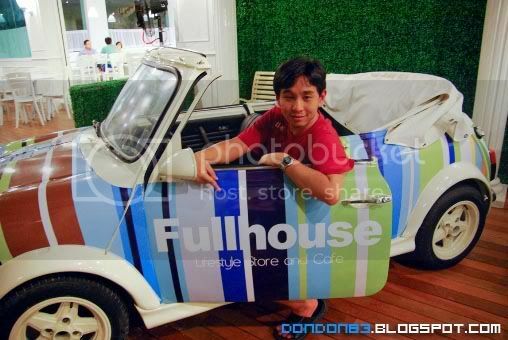 Heard someone mentioning a New Fullhouse Cafe in Jalan Yap Kwan Seng. hmph.. since saturday nothing to do. let's head to the NEW HOUSE for dinner. 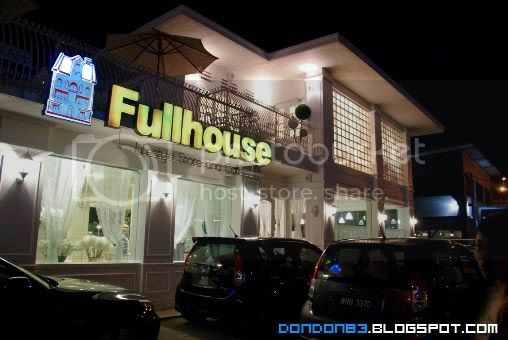 Here we are.. the NEW FULLHOUSE. ok.. this time.. is really FULLy a HOUSE. stand alone House. is awesome. oh ya, summore is FREE JOCKEY PACKING. 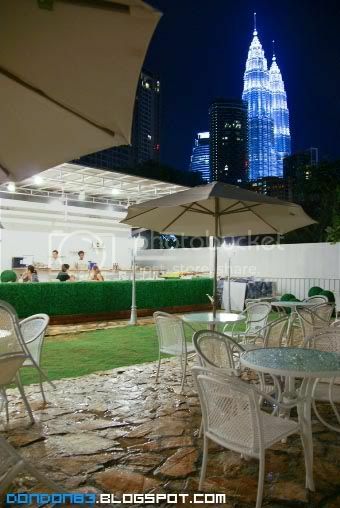 hahaha, need not to headache where to park your car :p.
see.. i can see KLCC from here!! that's NEAR! It's BIGGER. it's WIDER!, most impoartant.. MORE SEAT!!! hehe. oh ya.. bigger GARDEN too. 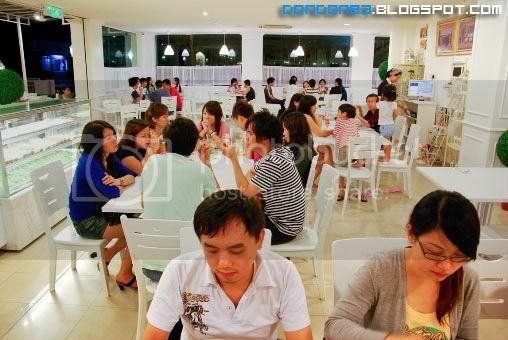 compare to the FULLHOUSE in NZX. Let's see if there any changes in the Fullhouse Menu? erm.. nope.. same...maybe not update yet? hehehe. 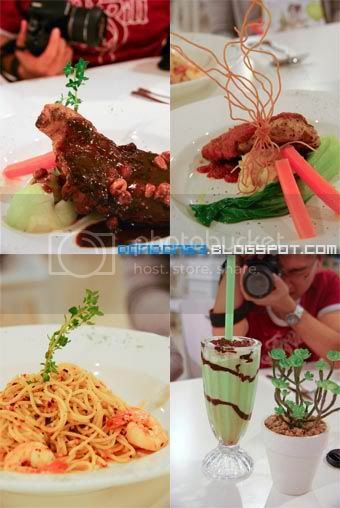 Food you can get from FullHouse.. 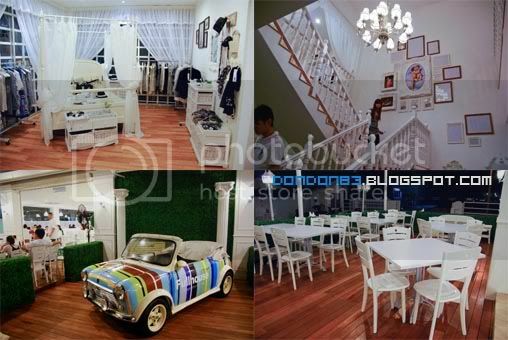 When mentioned about Fullhouse Cafe, "Neh~ the restaurant that got a MINI COOPER infront of the main entrance gar".well you can't use that anymore. the MINI COOPER is parked behind of the HOUSE now. and it's more COLORFUL now. Karling. 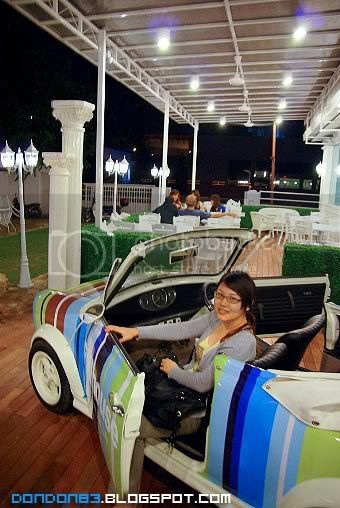 want to enjoy ur dinner inside the mini cooper? erm... cannot lar~ hehehe. 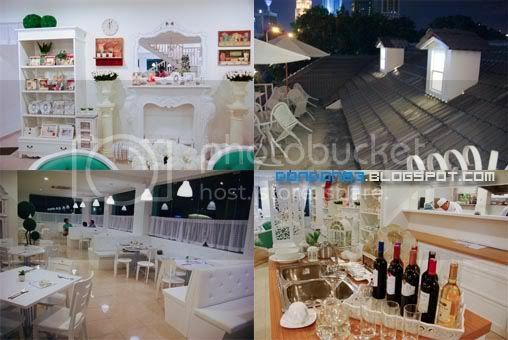 The Gang went for yumcha session at Fullhouse. hehehe i saw myself in the Menu too.. kakakaka. the NEW FULLHOUSE environment. 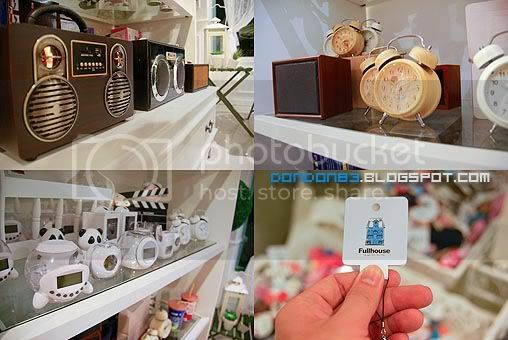 is really cool. feel's like you're HOME. hehehe. 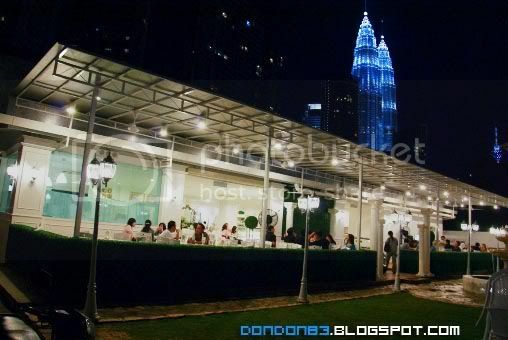 Can see twins tower lagi. 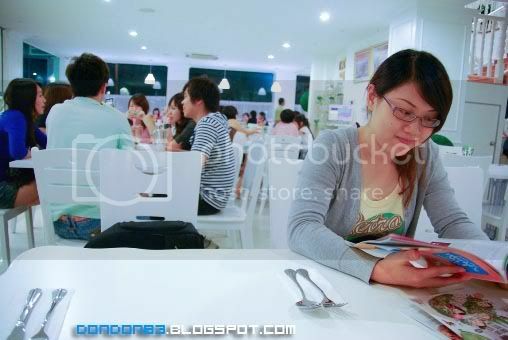 Hehe...1 more restaurant can go after go kl. hahaha. yeah.. another nice place to visit :P.
Click on the LOCATION link. there got a wikimapia MAP where the restaurant is located. Hot Hot day Let's go Hot Spring! Oasis Harmony Kindergarten Opening Ceremony.